Depending on where you live, cold weather might be just around the corner, and it’s time to start thinking about your horse’s winter weight. Making sure your horse is carrying an appropriate weight as we head into winter helps him stay warm when the weather gets cold — and Sacate alfalfa cubes may be a vital addition to your winter weight preparation strategy. What Is a Healthy Winter Weight? As winter temperatures set in, your horse should have body fat that acts as insulation and gives him calories to burn for heat. 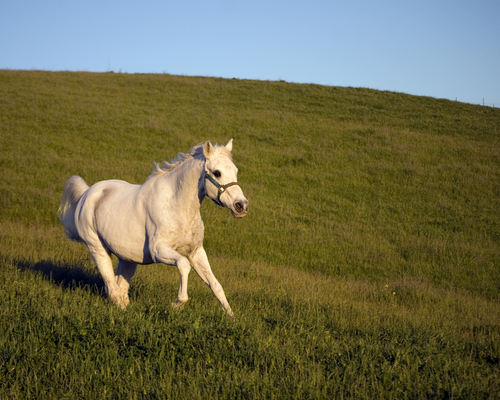 However, your horse’s weight gain should also remain within a healthy range. Ideally your horse should have a body condition score of 5 or 6 at the start of winter. You shouldn’t be able to see his ribs, but you should be able to feel his ribs with your fingers. His spine and hips shouldn’t be protruding, and the base of his tail should be a little spongy. If your horse is still at a summer weight, or if he’s a little older, thinner, or prone to losing weight, you may want to bump up his diet to pack on few pounds before the winter chill sets in. That doesn’t mean you can just double his grain, though. 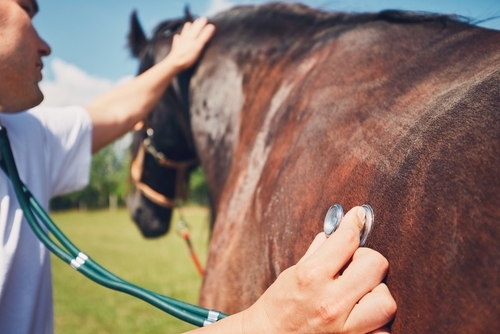 Gaining weight too quickly or from high-carbohydrate sources food can make health issues like colic or laminitis more likely. Instead, add forage or use sources of food that are higher in protein or fat. 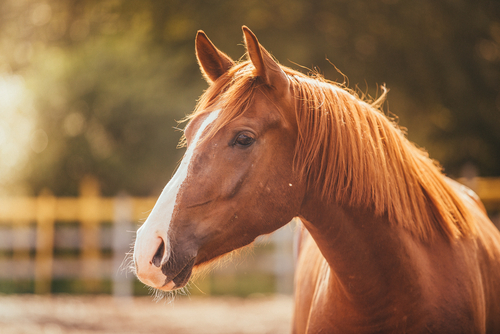 Not only are these sources of food less “hot,” but they’ll help your horse gain weight safely. For example, Sacate alfalfa cubes are a popular way to put weight on before winter, especially with older horses or horses with dental problems that prevent thorough chewing. Alfalfa pellets are higher in protein than normal grass hay, and can be soaked in hot water to create an easily chewed mash that horses love. 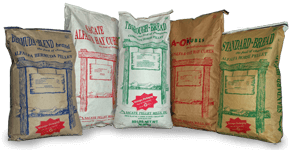 Sacate alfalfa cubes can be fed to help maintain a healthy weight throughout the winter, too. For horses that are particularly prone to losing weight in the winter, you might need a more elaborate strategy. Here are a few additional tips for preventing winter weight loss. 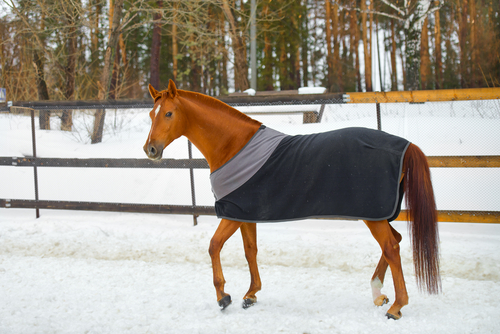 Blanket to preserve energy: Horses burn calories to maintain their body temperature in the cold, so if your horse is already too thin, is clipped for the winter, or has a hard time staying warm, be sure to blanket so he can use his calories for exercise and maintaining his weight, rather than staying warm. Add oil to your horse’s feed: Adding oil provides a quick source of fat-based calories that can help give your horse’s diet a little boost in the winter. Offer more feed: Adding calories will help your horse stay warm and maintain his weight at the same time. Be sure to focus on roughage-based feeds, such as Sacate alfalfa cubes, which digest more slowly and help maintain the horse’s body temperature over a longer time period. As we go into winter, remember that your former easy keeper may not be so easy anymore as he ages. Keep a close eye on your horses throughout the winter. Remove blankets regularly and feel through their coats with your hands to be sure they’re not losing weight, and adjust their diets as needed. For more information about how Sacate alfalfa pellets can help your horse maintain a healthy weight and warmth this winter, contact Sacate Pellet Mills at 602-237-3809.